My girls love play dough. Whether it be traditional dough, sensory dough, erupting dough, or cloud dough..... they love them all! 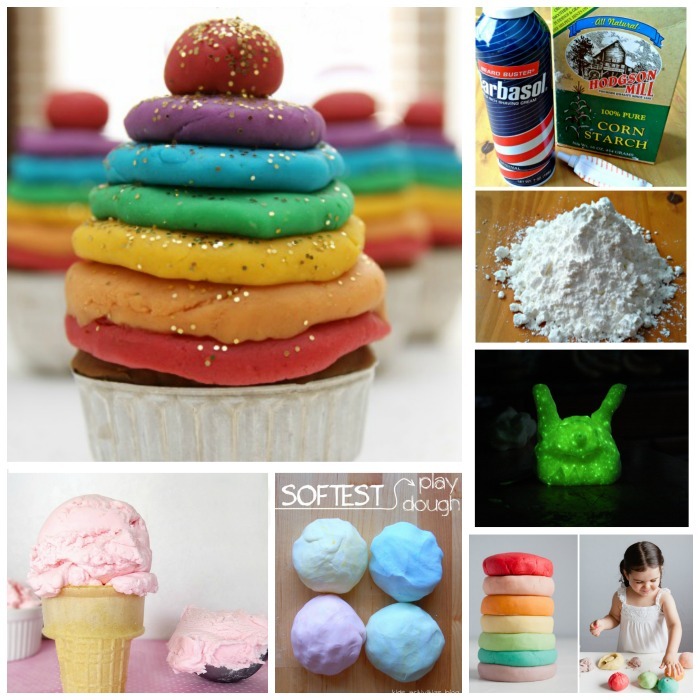 Here is a fantastic collection of play dough recipes you can make for your kids right at home. Be warned, once you try one you will soon be wanting to try them all. Each one is unique and super fun! 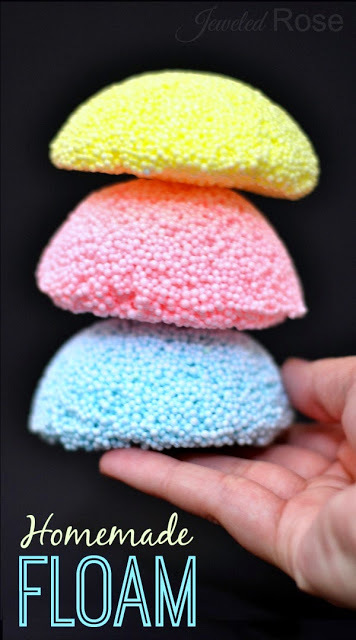 Galaxy Dough a super smooth, ultra sparkly, and really stretchy play material for kids. 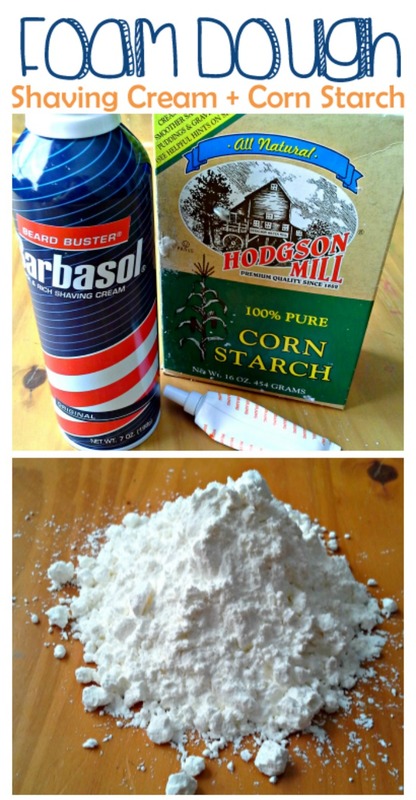 This no cook recipe takes seconds to make and is so fun the kids will want to play for hours. Add stars and space figures and watch their imaginations take flight. Ice Cream Play Dough Do your kids like ice cream? Do they like play dough? 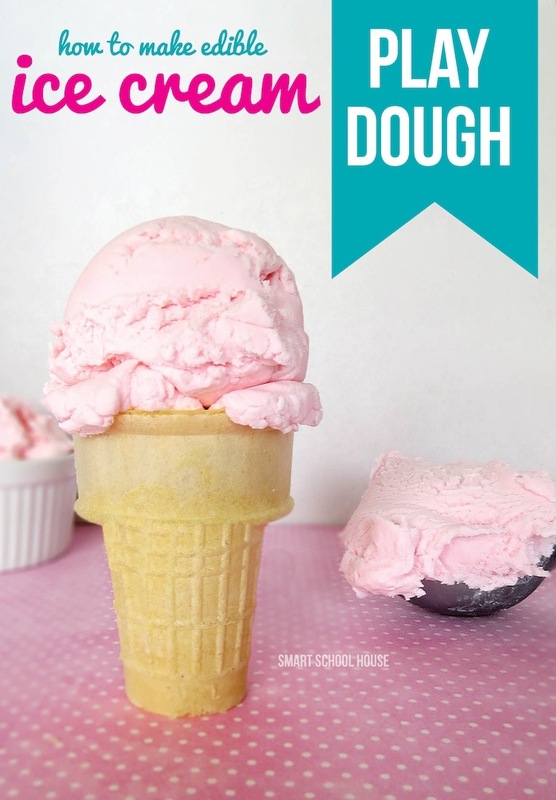 Then they will LOVE this ice cream play dough recipe from Smart School House. 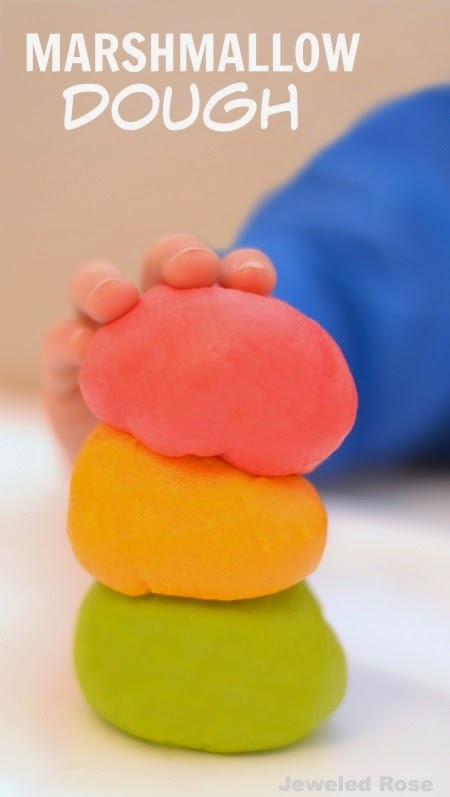 Using only two ingredients this play dough is easy to make & super fun! Foam Dough Foam dough is made using corn starch & shaving cream. It is super soft & so incredibly fun! Get the full recipe from Mom Trusted. Kool-aid Play Dough Kool-aid play dough smells AMAZING! My whole house seriously smelled like a candy store after we tried this easy recipe from The 36th Avenue. Jello Play Dough This is another play dough that seriously smells amazing. This one is made using jello instead of Kool-aid though. What do you have in your pantry? 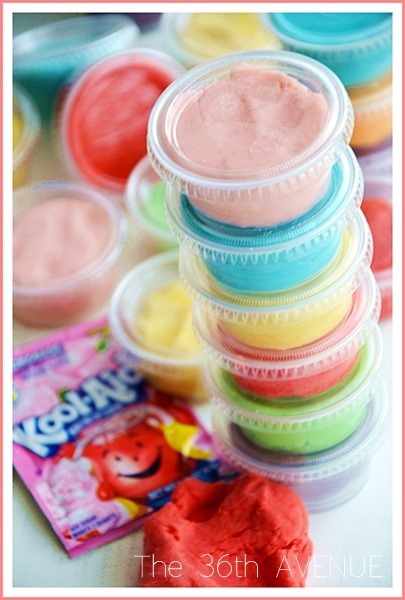 If you have Jello on hand I would definitely try this recipe from Modern Parents Messy Kids. 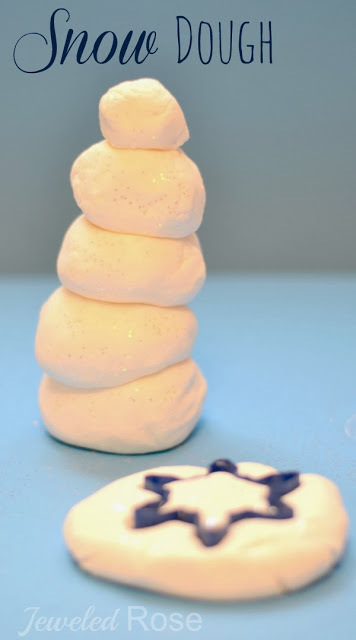 Snow Dough: Snow dough is icy cold to the touch and feels as soft as fresh fallen snow powder. My girls love this play dough so much that we make it year round. It is a great way to let kids play with snow in the Summer. Peanut Butter Play Dough This play dough from Kids Activities Blog is so easy to make, and it is taste-safe which makes it a great choice for very young children. Quicksand Play Dough Quicksand play dough is pretty magical. 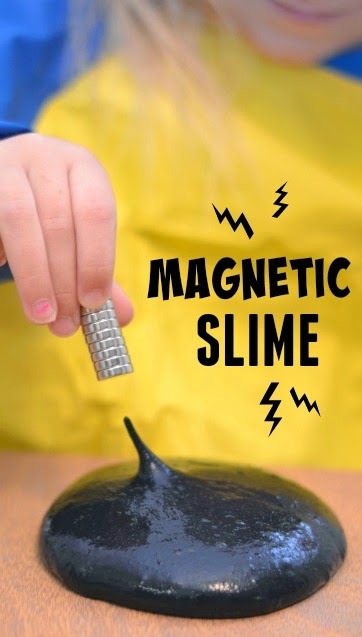 Kids can mold it, but as soon as their hands are still it turns to a liquid before their eyes. TOO COOL! 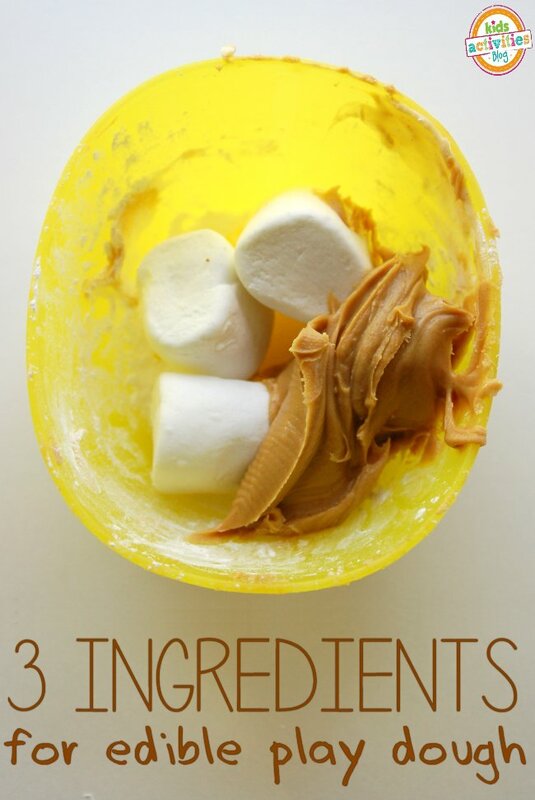 This recipe for play also requires only a couple of ingredients & no cooking! 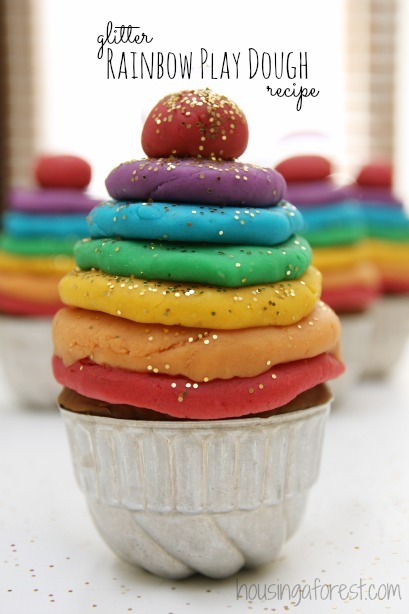 Rainbow Glitter Play Dough Add glitter to anything & kids will immediately love it more. 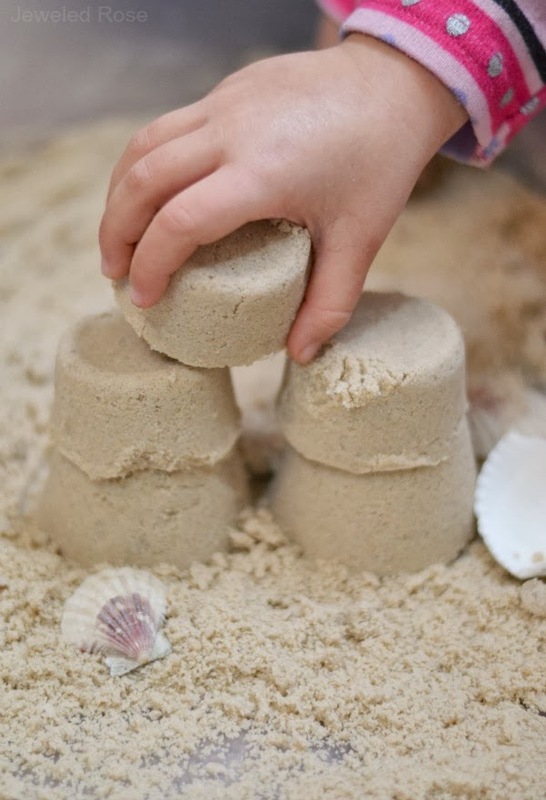 This basic play dough recipe from Housing a Forest is super sparkly, and I love that the recipe calls for very little salt, meaning that the dough won't dry out hands. Marshmallow Dough Play Dough made from marshmallows?!? Doesn't that just sound fun? This play dough has the most amazing texture! It is really a must try! 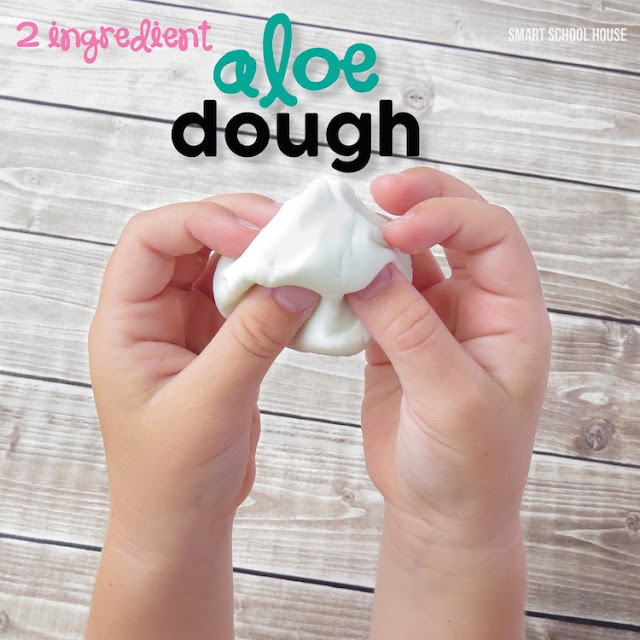 Aloe Dough Aloe dough is good for the skin and leaves kids hands feeling & smelling amazing. This is a no cook recipe. No cook play recipes are our favorite! Floam Play Dough Homemade floam is easy to make & so fun! It can be molded but is also quite squishy & gooey. It has quite a unique texture that is irresistible to touch & squish. Rainbow SLIME: I couldn't end a play dough collection without including at least one slime. 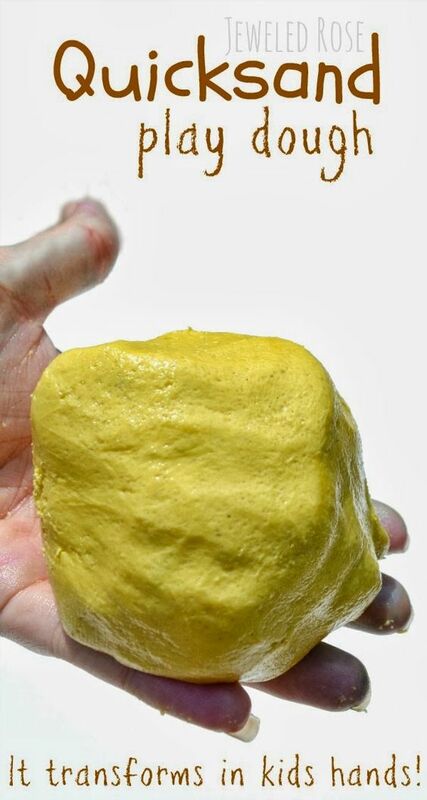 Slime is very different from traditional play dough If you have yet to try slime you really must! 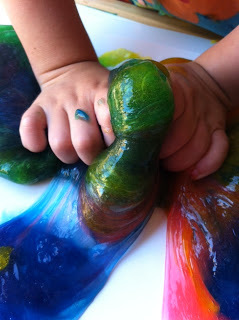 This rainbow slime from Tot Treasures is so colorful & fun!